Don't Sit Down Just Yet: Choosing the Perfect Sofa | Ashgate Furniture Co. 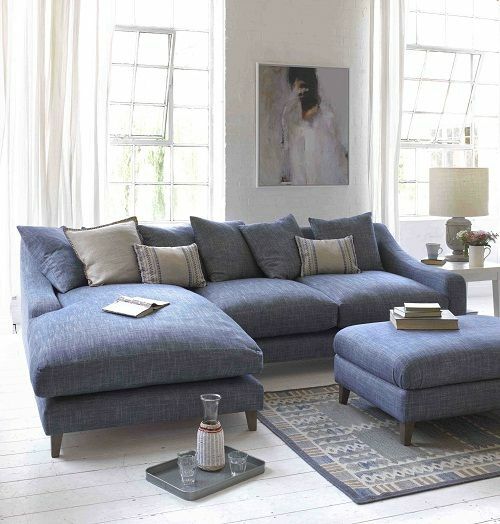 Choosing the perfect sofa for a fresh new home or refurbishment can be tricky. It’s going to be a huge part of the budget you’ve set aside, and will be definitely need to be an investment piece – rather than something you intend to swap out within a matter of months. 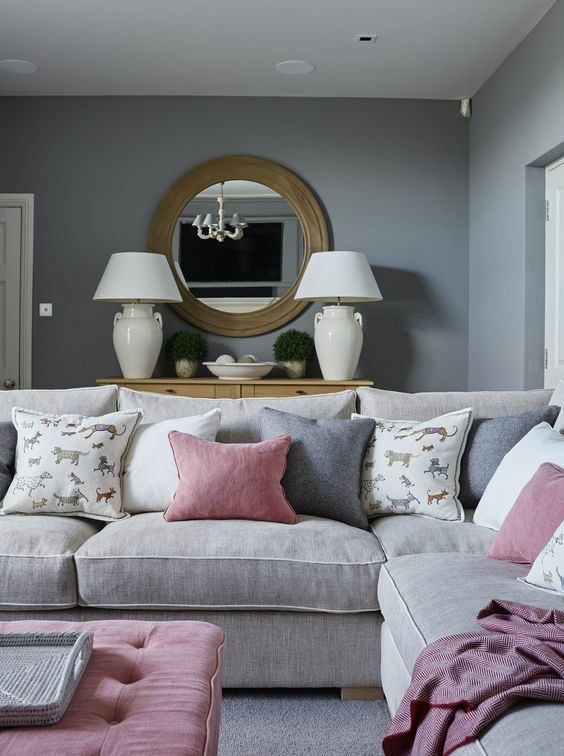 If it’s done right, sofa shopping may only need to happen once a decade, so finding the right style, colour and texture now, will save you a lot of time, money and tears in the long run. We’ve all at some point settled when it comes to furniture for the house; dealing with what we have had donated from family friends, picking up a few second-hand bits on Freecycle or Gumtree, and sprucing them up a little with soft furnishings and a bit of colour. So actually taking the plunge and splashing some cash on your dream sofa is a big step. Which is why it’s important to prepared and know exactly what you want, and what you’re looking for before making the leap. There’s a fair few questions to ask yourself when it comes to style, and it’s possibly the most important part to decide before anything else. What will you be using the sofa for? Do you need height for support? Which type of armrest would you be looking for? What will look best in the room? If you’ll be napping or lounging on the sofa, comfort may take priority over style. Whereas if the sofa is for a more formal space, the importance of style could be increased. When it comes to styles; straight, angular shapes work better within the contemporary interior, and this might be something you need to take into consideration. Alternatively, in a smaller, country home, rounded corners and a classic design will create more of a statement. Is your sofa going to fill most of the room? Are you likely to have lots of guests and family around? Will you be pairing it with armchairs, or having a singular sofa? Using key points in the room will allow you to make a few key decisions on the size you’ll be looking for. Being aware of the space and the other items of furniture you’ll have in the room will allow you to see how much space you’ll have for the statement piece of the room. If you’re a social, or cosy household, you might be leaning towards a corner sofa for lounging around and hosting guests. For added comfort, a co-ordinating footrest could be a great option that can double up as additional seating when needed. Corner sofas have been extremely popular in the past, with elongate lounger ends so that there’s space to spread out and put your feet up. Make sure to know exactly the right size you’re looking for, so that you can easily cancel out sofas that are the wrong size. It’s also perhaps a good idea measure up the entrances… as this can have a serious impact on the size that you’ll be able to extend to. For smaller spaces, opting for straight armrests could help to keep the sofa cellular, and will free up a little extra space where a curved armchair would take up. How will you adapt to a new material? When it comes to the material, it might be necessary to think practically, rather than just about the look. If you have young children, who might be prone to spilling, finding a leather sofa that’s easy to wipe will help you to save money in the long run. For pets? Cats are notorious for using the corner of the sofa as their own personal scratch-post, so a pet protected sofa is important. You’ll also need to think about how you’ll adapt to the new sofa; what fabrics are comfortable to you, and how they it will compliment other surfaces within the room. With regards to pattern and colour, it’s easy to just choose a dark shade to hide the dirt and work around this for the rest of the room. 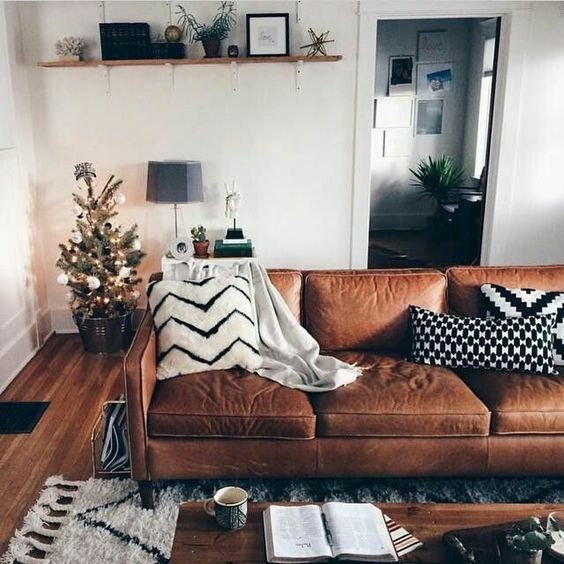 However, a light sofa can really make a statement, so if you’re someone who’s a little houseproud and will take extra care, there’s no reason not to choose the light and bright sofa of your dreams. As for patterns and textures, choose carefully. 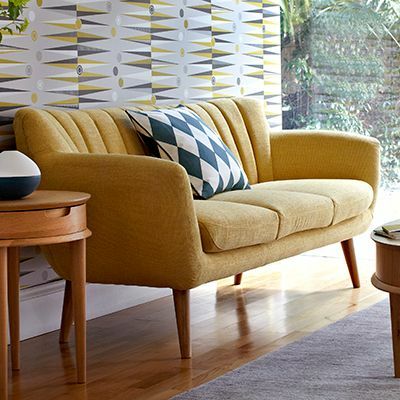 This sofa might last a long while, and falling in and out of love with trends is inevitable. You’ll need to be totally set on an idea if you’re looking to get a patterned sofa, so think long and hard about your commitment to one style and pattern. Similar to the things we discussed for style, you’ll need to think about the comfort and the padding you’ll be wanting from your sofa. A high back can offer a lot more support, but will require you to sit up straight a lot of the time. Whereas a sofa with chunky cushions at the back and bottom will help you slip peacefully into that afternoon nap you’ve got planned. The best way to make a decision on the comfort of your sofa is to visit a showroom to test out the different options – so that you can get a feel for how the sofa might look and feel in a number of positions. Whilst these are just a few options to consider when it comes to buying the perfect sofa, at the end of the day, it is your choice and your comfort! If you would like to speak to someone about ordering one of our sofas, or are looking to find out more information, do not hesitate to contact us. Alternatively, head to our showroom and test our the sofas we have in store. This month, get involved with our #WINASOFA Competition, for a chance to win yourself any 2 or 3 seat sofa from our site! Either sign up here or in store. Sharing posts on our social media also boosts chances of winning, as does any purchase on the site.